This book is too religious for New Agers, too occult for Christians, too numerical for spiritual seekers, too mystical for scientific types, was written by a nobody, is addressed to everybody and makes the most outrageous series of statements ever claimed as facts. So read it anyway and have your understanding of the world blown apart. The Secret Code is two things. Firstly, it is a chronicle of one man s dramatic spiritual awakening and the education he subsequently received from angelic tutors. Secondly, it is a concise summary of the alphanumerical code he was trained to find and the devastating revelations it contains. 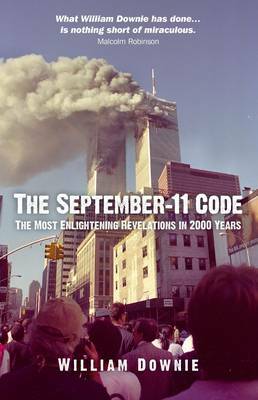 The code is found within the NIV Bible (2001 Edition), popular culture and two world-impacting events: the terrorist attacks of September the 11th, 2001 and the funeral of Pope John Paul II in 2005. It insists that 9/11, the first major event witnessed in real time by the entire world, was nothing less than a staged drama, depicting several biblical tableaux and containing the most electrifying news of all time. The book goes on to present further devastating revelations about Karol Jozef Wojtlya and Osama bin Laden. It ends with a message to us all from Jesus Christ.